This bronze bowl is engraved with pattern of flowers and the blessed kirin; the art of bronze engraving was first founded in the Spring and Autumn period (722-476BC), it was then used to document important events and notables. The craft of bronze engraving is most popular in Beijing where all the famous engravers reside, these craftmen are also known for their calligraphy and seal engravings. 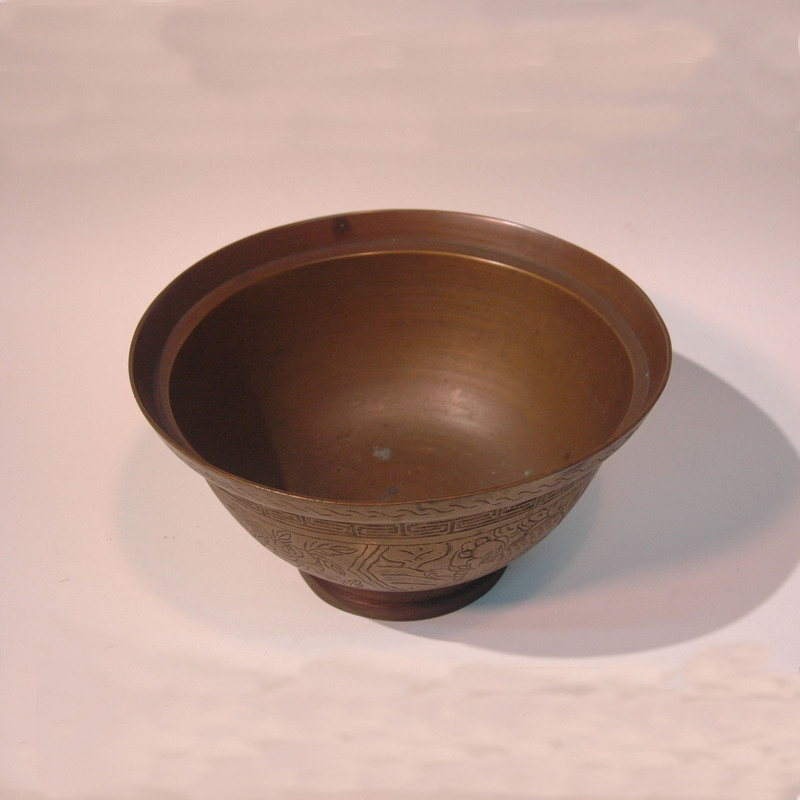 Just found out from goggling about bronze bowl that bronze is suppose to help with curing vitiligo, hmm, wonder if i should bring the bowl back and give it a try. Will keep you updated on the progress.